5 Ways to protect your hair while sleep. We all want healthy, gorgeous hair, but how many of us take the time to protect the hair from breakage while sleeping. Well ladies and gentlemen, if you want healthy hair, you must protect it through the night while you are getting that beauty rest. Below are some ways to protect your hair while getting your beauty sleep. 5 ways to protect your hair while sleeping. Detangle hair with a brush or wide tooth comb to minimize tangles. Braid your hair in 1-2 loose braids to protect the hair from breakage as you toss through the night. It's good to let hair air dry sometimes, but you must let it dry completely before bedtime. Wet hair is fragile and may cause unnecessary damage in your sleep. Make sure your hair has moisture in it to protect it from being to dry and causing damage. Dry brittle hair will eventually start to break and look awful. You don't want to Walk around town with a raggedy style caused by dry brittle hair. Use silk pillowcases or satin caps to protect the hair from damaging the hair by rubbing and drying the hair out . Make sure that you wash this satin cap before your shampoo day to avoid adding dirty debri and smells to your new style. Don't cut off your circulation by having the cap to tight. You want your blood circulation to keep a healthy amount of blood flowing to the hair. After all that is the food supply of nutrients for the hair. Make sure to keep your styles beautiful and keep your hair healthy while sleeping. If your hair is damaged, it will cause your hair style to look raggedy. Of course, that's not what you want. So begin to treat your hair with tender love and care and watch the results. Have a blessed an awesome day !! 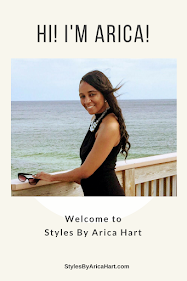 Join my Mailing list for styles & hair tips! Partial sewin and braid hair styles.